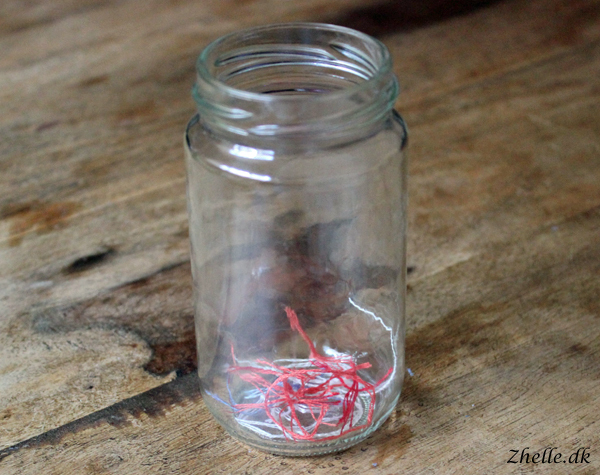 Zhelle.Dk: Flying the Flag progress and an ort jar! Flying the Flag progress and an ort jar! I know it has been some time since I last updated the blog, and the reason is that I have been busy with life! I am now on my third week of the accounting course on Niels Brock that I am doing as activation. It did take some time to get used to getting up at 6 am again. I also know quite a lot of the stuff we've dealt with so far, so I have done almost the entire exercise book. This and a bit of work has made me quite tired in the evenings, so that's why I haven't been able to show you any progress on any of my projects.... until now! 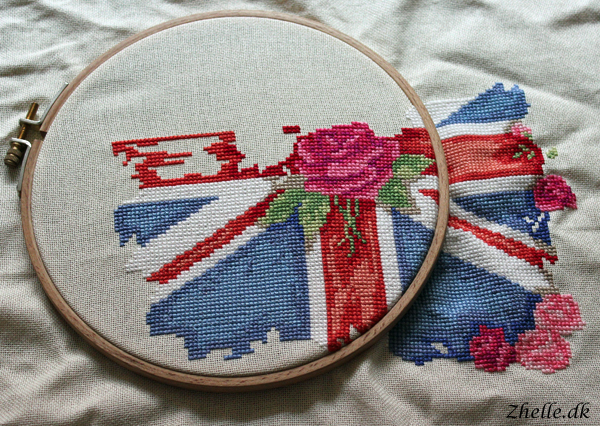 I am stitching away on Flying the Flag, hoping to get it finished relatively soon (meaning this autumn the latest). As you can see I am in the middle of stitching the second vertical red stripe. When I have finished it, I think it is time to stitch some roses! Will hopefully have a few to show you on the next update. I would also take the opportunity to introduce you to a newcomer in the family... my ort jar! An ort jar is a jar where all the scraps of thread from projects are landing. If you want a proper description I would recommend visiting Little Thread Crafts who has explained it a lot better than I can. Without further ado..... my ort jar!